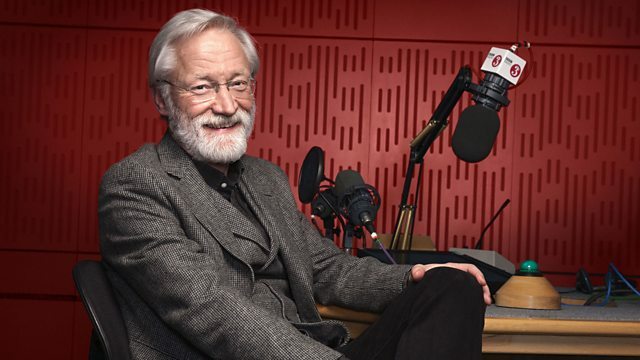 BBC Radio 3 - Composer of the Week, Verdi 200, We're Still Here! Roll Up! We're Still Here! Roll Up! Donald Macleod focuses on Verdi's last opera, the comic masterpiece Falstaff, written with librettist Arrigo Boito and completed in the composer's 80th year. Donald Macleod looks at Verdi's last opera, the comic masterpiece Falstaff, written with the librettist Arrigo Boito, and completed in the composer's 80th year. Having lived through most of the 19th century, and revitalised Italian opera, Verdi died in 1901, with Boito at his side. Orchestra: Philharmonia Orchestra. Conductor: Carlo Maria Giulini. Singer: Juan Pons. Singer: Daniela Dessì. Singer: Bernadette Manca di Nissa. Singer: Delores Ziegler. Singer: Maureen O'Flynn. Singer: Roberto Frontali. Singer: Paolo Barbacini. Singer: Luigi Roni. Singer: Ramón Vargas. Singer: Ernesto Gavazzi. Conductor: Riccardo Muti. Choir: Chorus of La Scala, Milan. Orchestra: Orchestra of La Scala, Milan. Singer: Renata Scotto. Performer: Ivan Davis.